A crude yet very effective rasp consisting of little more than a fine band saw blade wrapped with a copper spacing wire around a hardwood stick - ingeniously simple and the acme of its type. These rasps are ideal for the rough shaping of hard or soft woods, gypsum plasters, filled resins, and other similarly composed craft, building, and sculptural materials. 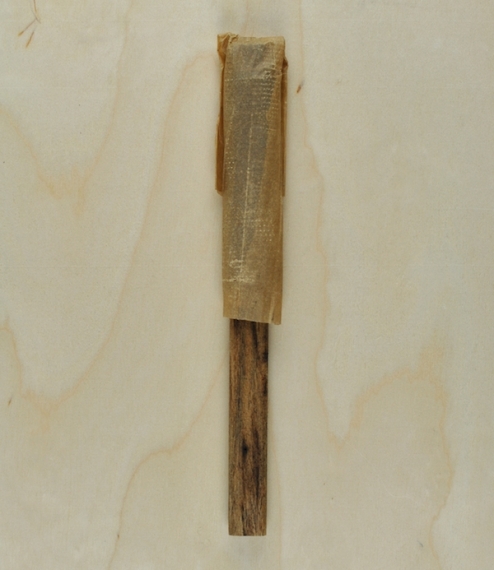 About 21.5cm long, with a cut of 8cm, and an oval section of 2.5cm by 1.5cm.